Thank you for your interest in Luci Ancora for your next event. 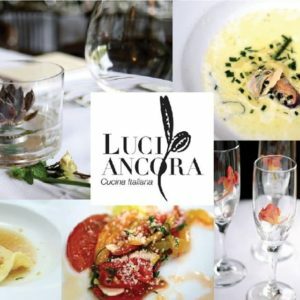 With accommodation for up to 85 guests, Luci Ancora is suitable for groom’s dinners, bridal showers, corporate events, wedding receptions, and other celebrations. Providing a comfortable, elegant atmosphere with professional, considerate service, our staff and event planning team give special attention to each event. 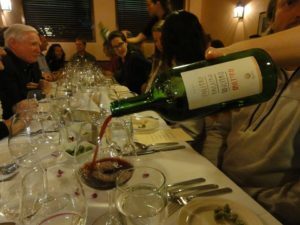 Whether you’re looking for a casual affair with Family Style Dining or a more formal event, our dining options provide you the opportunity to create the atmosphere of your choosing. With over 20 years experience, Luci Ancora is a destination for family events and corporate gatherings while remaining competitively priced. We encourage you to browse our current menu for an idea of our food and wine offerings. We thank you for your interest in Luci Ancora. 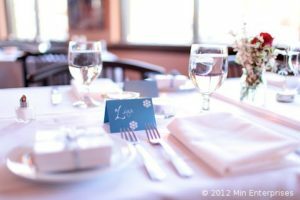 We look forward to working with you in planning your special occasion.